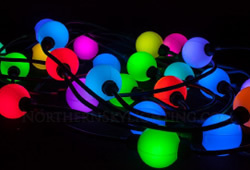 Our RGB Lights elevate any location with unparralled flexibility, ease of use, and durability. 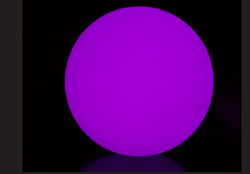 Our 360 Globes are large sphere lights that can be hung or displayed on the ground with an optional stand. 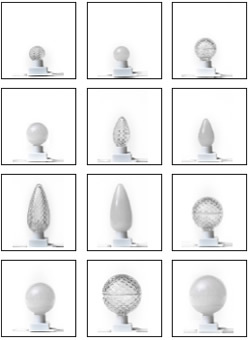 Comes in 250, 300, 350, 400, or 500mm sizes. Weather sealing and wiring ensure these lights can handle an environment all year around. 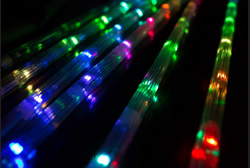 Our double-sided RGB light tubes come in 1, 2, 3, 4, 5 or 6 foot lengths with either clear or frosted finish. The tubes can be ordered with a bult-in T-way or Smart-T to allow quick connections between tubes. 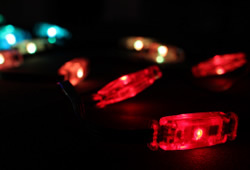 upgrade to the RGB light strings. IP68 weather sealing and wiring ensure these lights can handle an any environment all year around. The RGB Modules offer a lower-profile version of our 360 Bulb offering a light that will fit in tighter spaces while still offering the same RGB control, water resistance, and durability. 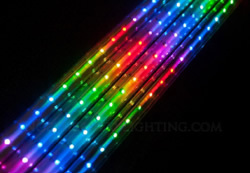 Our double-sided lowresolution RGB light tubes come in 1, 2, 3, 4, 5 or 6 foot lengths with either clear or fluted finish. The tubes can be ordered with a T-way or Smart-T to allow quick connections between tubes. 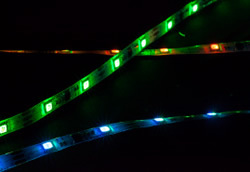 Our RGB light strip is a flexible waterproof strip with our RGB LEDs at 1.4” spacing, or 28 leds per meter. Availabe in 1 (3.3), 2 (6.6ft) , 3 (9.8ft) ,4 (13.1ft) or 5 (16.4ft) meter sections.